To view a five minute trailer from the film click here. Click here to follow the film’s progress and get news of the mariachi world via the Facebook page Visit The Mariachi Miracle at its own website. “Dan Buckley knows this material inside and out, backwards and forward. He was on the scene when the Changuitos Feos and the first mariachi conferences began in Tucson and has had a chance to witness over a long period of time the positive effect it has had on aspiring youth in our communities. Producer/director Daniel Buckley has begun production on the sixth installment of the Cine Plaza at the Fox documentary series, this time investigating how mariachis and folklórico dancers have transformed Tucson, and how in the process, Tucson has transformed the mariachi and folklórico worlds. 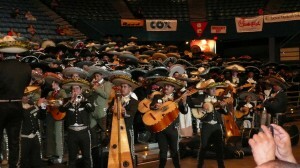 (Follow progress on the Mariachi Documentary Blog or visit the Facebook page). The film is titled The Mariachi Miracle. The point is not to say that Tucson is the mariachi center of America but rather to use the example of Tucson to show the broader impact the youth mariachi movement is making on America. And it is an important impact. Real change in social justice, economic opportunities, political power, racial relations and educational opportunities for Mexican Americans have come from these important, self-generated music and dance programs. A book of the same title will also be released at the time of the premiere in 2018. 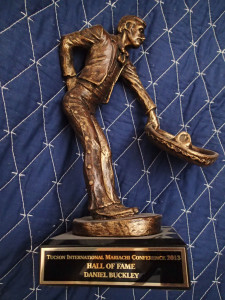 Since his start at the Tucson Citizen in 1987 and before at the Tucson Weekly, Buckley has written about mariachis, the Tucson International Mariachi Conference and the larger Latino cultural scene. As no writer in Tucson had, he observed and commented on the evolution of mariachi and folklorico culture, and researched its roots. 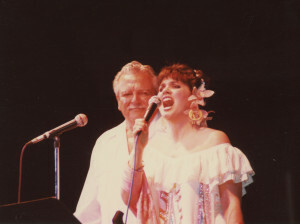 In 2013 Buckley was inducted into the Mariachi Hall of Fame. 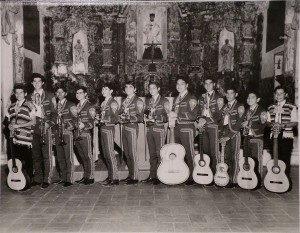 In 2011, the Tucson International Mariachi Conference marked its 30th anniversary, and in 2014 America’s longest running youth mariachi – Tucson’s Los Changuitos Feos (The Ugly Little Monkeys) – celebrated 50 years. Those celebrations and interviews with hundreds of parents, educators, mariachis, folklorico choreographers, students and former students will be encapsulated into The Mariachi Miracle when it makes its debut in the spring of 2016. The book will expand on the themes explored in the film and add more details, statistics, and commentary. It’s important to make this film now. 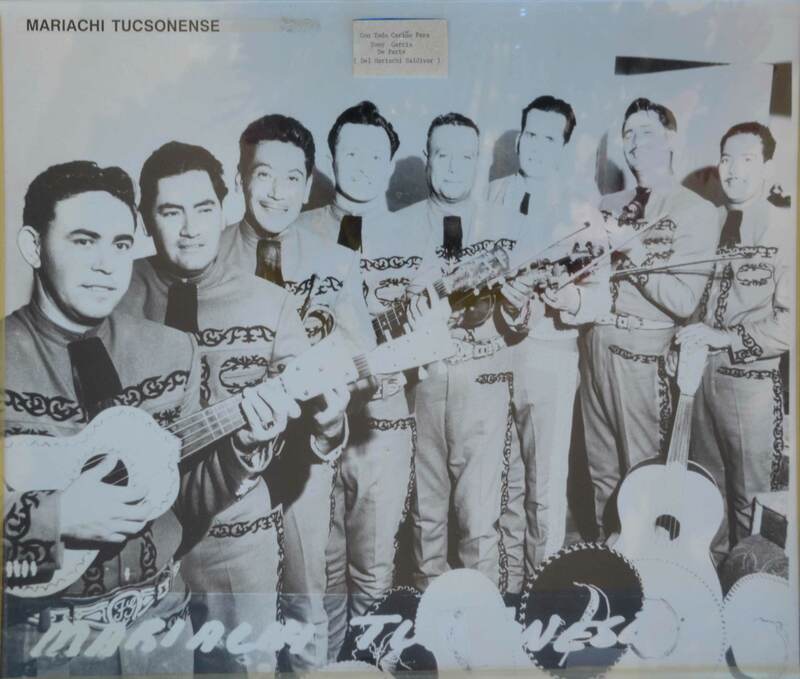 The pioneers of the music who planted the seeds of mariachi in Tucson – the members of Mariachi Los Tucsonense – have largely died off, and many of the people who carried on from there are likewise of advanced age. Capturing the stories of those who lived this history is critical, and already a number of key sources have been lost. Why is Tucson important and what about mariachi music and dance has changed this city? These are some of the questions that will be explored in the film. But just taking the Changuitos Feos as an example, when that youth mariachi started in 1964, young Hispanic students in Tucson were punished at school when they spoke Spanish. Many of the first boys originally recruited did not know any Spanish. Their parents spoke English only with them so that they would not be punished for speaking Spanish as they had been when they were kids. Moreover, in 1964 Tucson’s city fathers were systematically eradicating evidence of Tucson’s Spanish and Mexican heritage through the “urban renewal” program, tearing down barrios to build a convention center and wiping out Mexican businesses in the downtown. Taken in the broader context of where Tucson was at that time, Mexican culture was not only undervalued but systematically put down in the prevailing culture. The city went to great lengths to hide its Hispanic roots. Even the remaining vestiges of Tucson’s colonial presidio fort, which cropped out in numerous places around downtown, were bulldozed in that period. 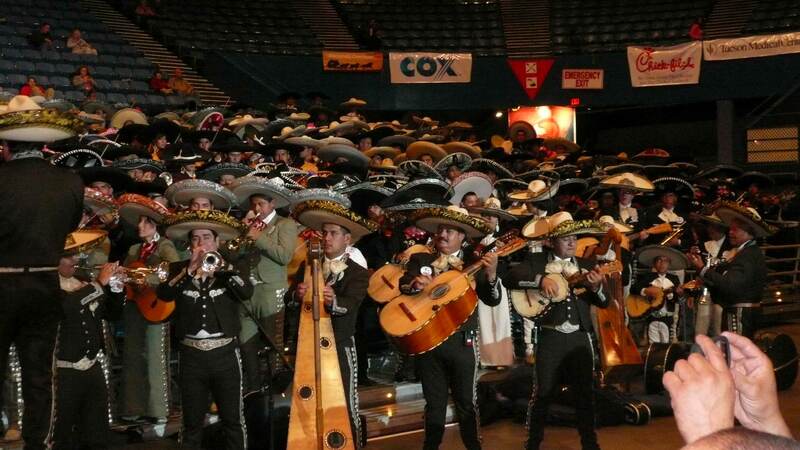 In the midst of all of this along comes this youth mariachi – Los Changuitos Feos. Suddenly these kids are being encouraged to learn Spanish and to sing the songs of their forebearers. They become a tiny cultural lamp and a focal point of pride among the Mexican American community. The Changos travel the U.S. and the world as cultural ambassadors, and its young members see the world in ways their parents could never imagine. Moreover, the group charges for its performances and the money is invested so that each student member will have a college scholarship to the Arizona college of their choice. This is huge as it means that for many, they become the first generation of their families to receive a college education. And this practice eventually becomes the model for similar programs in Tucson schools and beyond. Soon mariachi programs are starting in the schools, beginning with Tucson High and Davis Bilingual Elementary School. The music connects the students with their culture, their history and their families in ways no ordinary school band or orchestra program had. The students want to come to school. They learn more and are more involved with their education. So dropout rates diminish in schools with these programs, while graduation and college matriculation rates increase. In addition, these kids learn how to express themselves in front of large groups of people. That is a very powerful tool. They gain confidence in themselves, and knowledge and connection with their culture. The mariachi is both bilingual education and music education and as such develops different parts of the brain that handle mathematical concepts and creatively analyze information. The advantages of this kind of educational background are huge and profound. The first generation of Changuitos went on graduated and did great things. Several of the members founded Mariachi Cobre (Copper), and that group is now acknowledged as among the greatest mariachis now just in America but in the world. It has recorded and toured with the Boston Pops and performed with dozens of orchestras around the country. 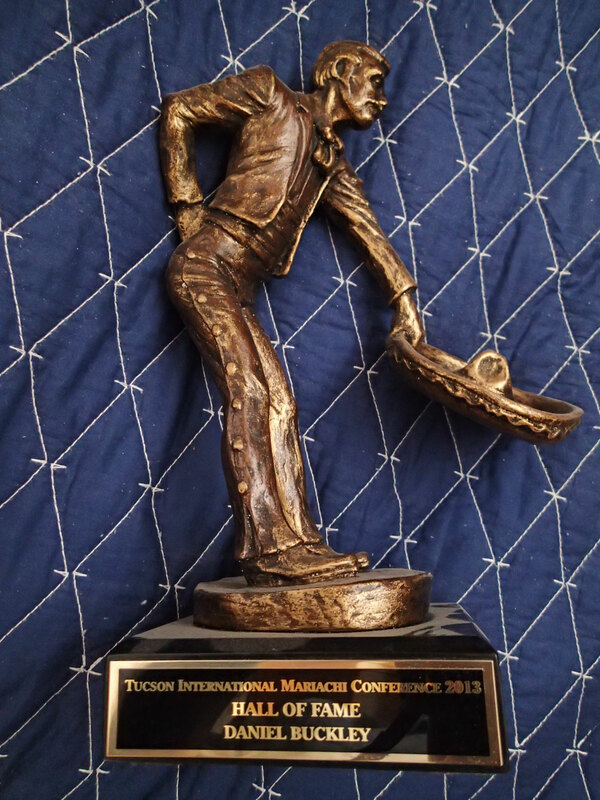 It helped to create the Tucson International Mariachi Conference – currently the longest continuously active mariachi conference on the planet, and one of the most influential in the U.S. and Mexico. But Cobre is most known for its role as the house band of the Mexico pavilion at Disney’s Epcot Center in Orlando, Florida where it likely introduces more of the world to mariachi music than any group in history. 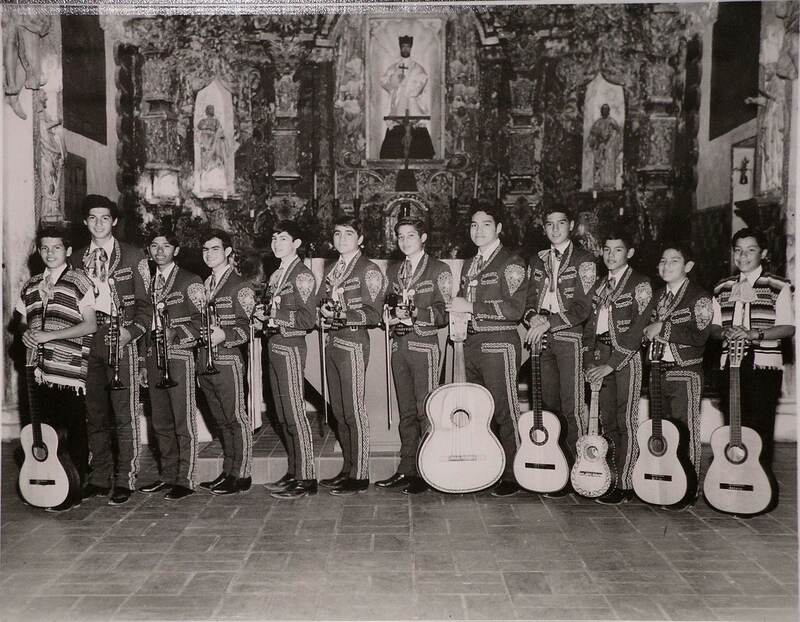 Other former Changuitos include former Arizona state senator Frank Felix, physician David Ruiz, and educator Jeff Nevin who created the first college-accredited mariachi program in America. Jerry Gay, who was the first trumpet player with the Changos, became part of the engineering team that designed the Hubble Space Telescope. The group goes on, as do hundreds more like it in the Tucson school systems and other organizations, giving generations of kids a pride in their culture and the tools they’ll need to succeed in any life venture they might choose to undertake. From their ranks, a new generation of highly skilled professionals and leaders is emerging. Linda Ronstadt with her father, Gilbert Ronstadt, performing at TIMC. Photo by Ed Trujillo. 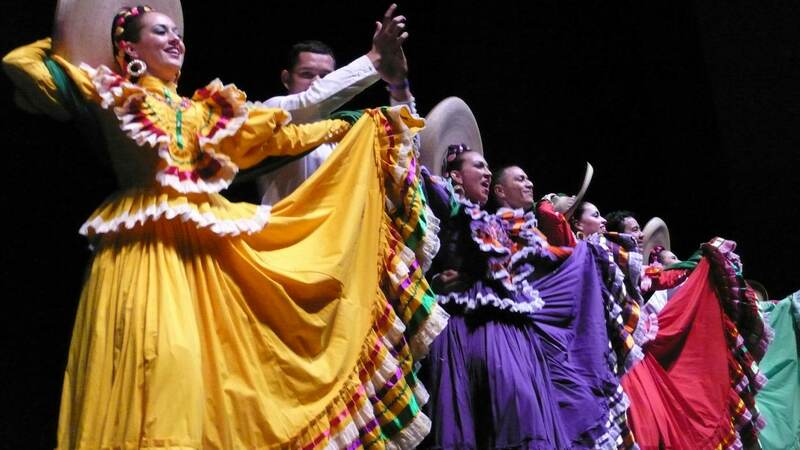 The Tucson International Mariachi Conference furthermore has advanced mariachi music and folklórico dance. 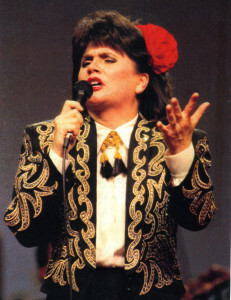 Attending her hometown conference and meeting with the great Lola Beltrán and Mariachi Vargas is what set Linda Ronstadt on the course of recording her own collections of mariachi ranchera songs – in spite of her label’s prediction that they would be a complete flop and a disastrous career move. Instead, they were multi-million sellers that revitalized the music both in America and in Mexico. 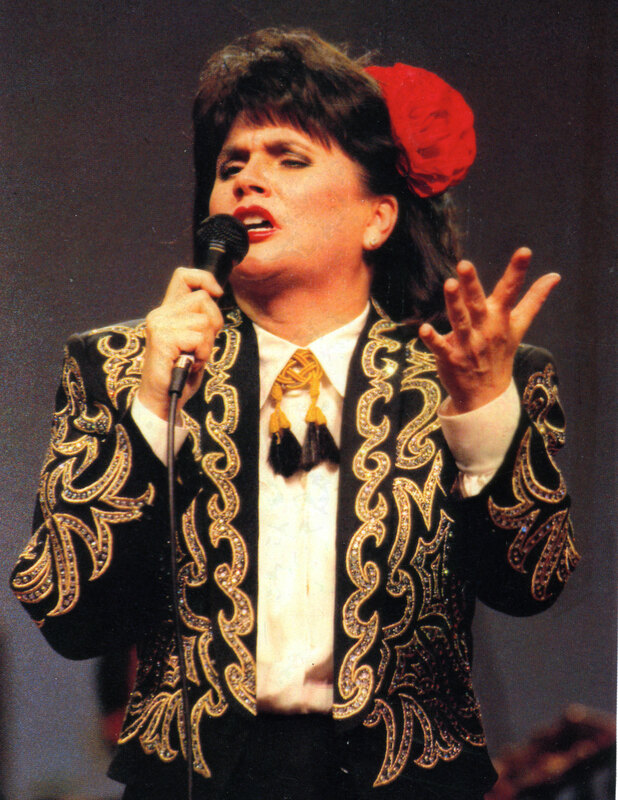 Ronstadt in turn fortified the conference’ notion that folklórico dance was an equal partner with the song. This music was written for both and both should be taught side by side, she insisted. The conference steadily raised the bar for performance quality. Year after year, at younger and younger ages, mariachi students inspired and taught in workshops by the masters of their music and spurred on by peers from other communities achieved higher and higher levels of artistic expression. Today’s students wield more than mere notes and lyrics. They have a deep understanding of idiomatic expression, performance style and innovation. It’s not a handful of songs that they all play but a huge repertoire that all know, draw from and add to. It is a vibrant cultural outpouring. And these quick anecdotes are just the tip of the iceberg. The story of the mariachi in Tucson is a complex and inspiring tale. Between now mid-2018, Buckley (and a group of paid interns) will interview the people who live the mariachi experience from its earliest days through its various intersections with education, politics and more. The interviews will show what the music has traditionally meant to the culture and what it has come to mean. And it will celebrate Tucson’s unique place in the evolution of this music as a cultural and political force in America and Mexico. In doing so, the purpose is not so much to showcase Tucson but to use it as an illustration of what is going on throughout cities and towns of significant Hispanic populations around America. And there are related goals in conjunction with the making of the film. The young Hispanic interns, chosen from college and high school level media arts programs, will learn a broad range of filmmaking skills, from fundraising to production, editing and post-production. They will have a voice in the interviews and ask their own questions. In the end, they will receive both school credit and professional acknowledgment in the film credits. Each of the interviews for the film will be carefully transcribed to Microsoft Word documents which will be turned over to the Arizona Historical Society for research on a broad range of topics related to contemporary Hispanic culture and history. A special fund is being set up through the La Frontera behavioral health center, which the Tucson International Mariachi Conference helps support. If you’d like to support this film, write a check in any amount to La Frontera Arizona Inc. and write in the subject line “The Mariachi Miracle – Daniel Buckley.” Your donations will be tax deductible. Buckley plans to follow the film with a second project exploring how the youth mariachi and folklorico movement is now transforming the rest of the United States.